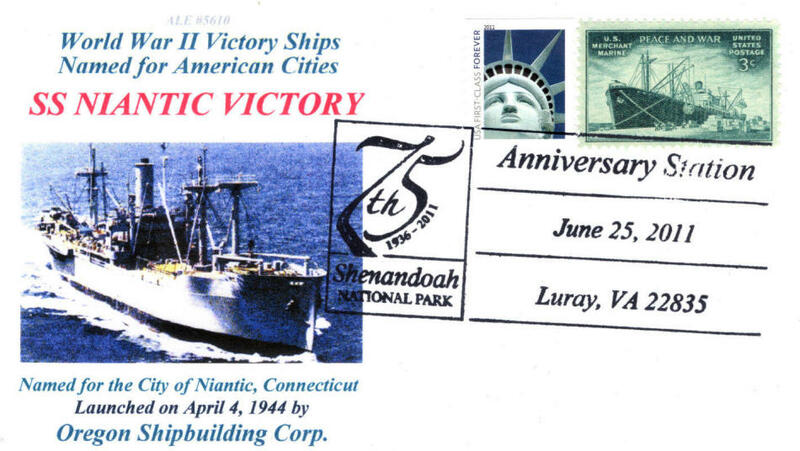 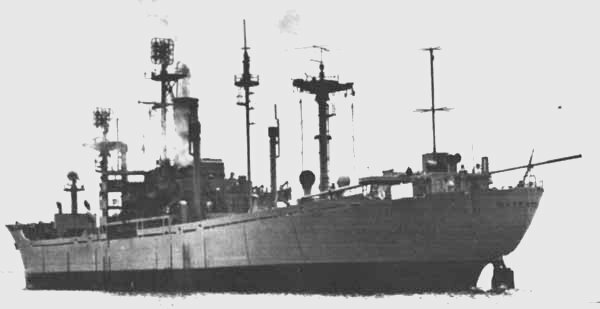 Laid down, 12 February 1944, as SS Niantic Victory, a Maritime Commission type (VC2-S-AP3) hull under Maritime Commission contract (MCV hull 100) at Oregon Shipbuilding Corp., Portland, OR. 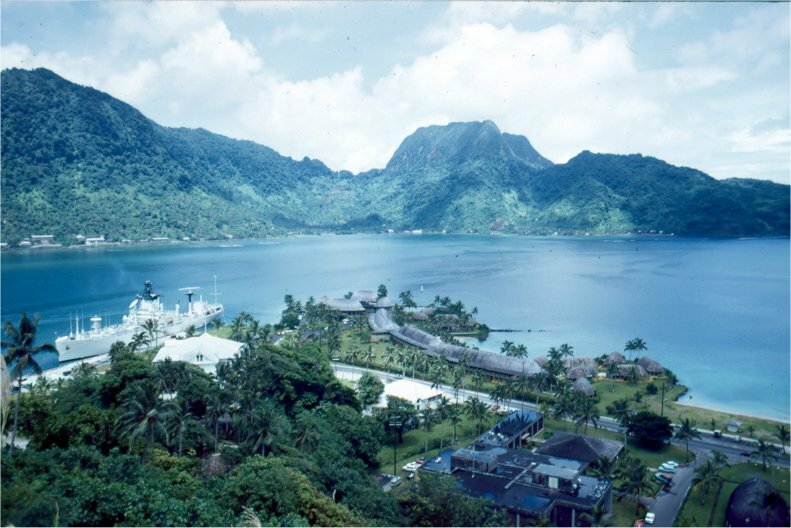 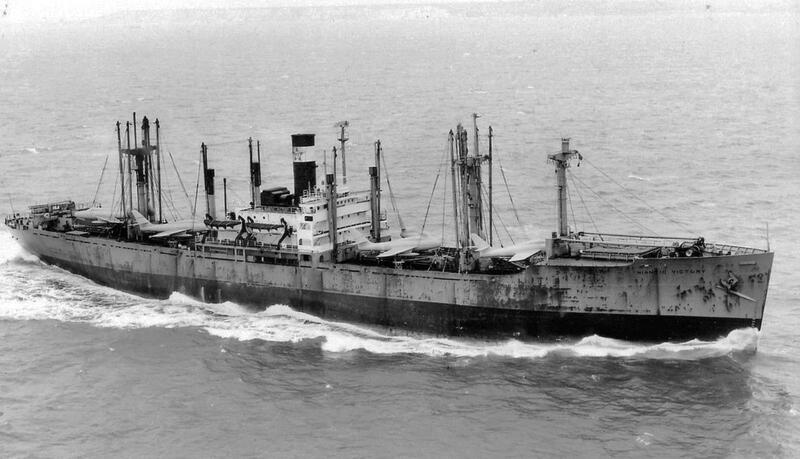 Leased, 6 November 1946, to Waterman SS Corp. 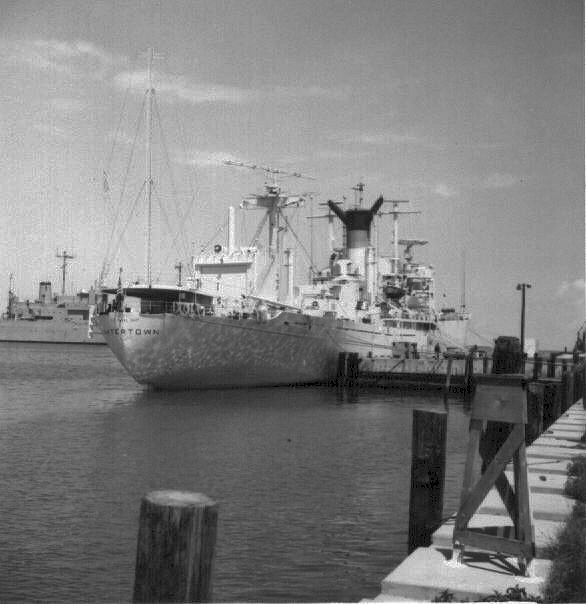 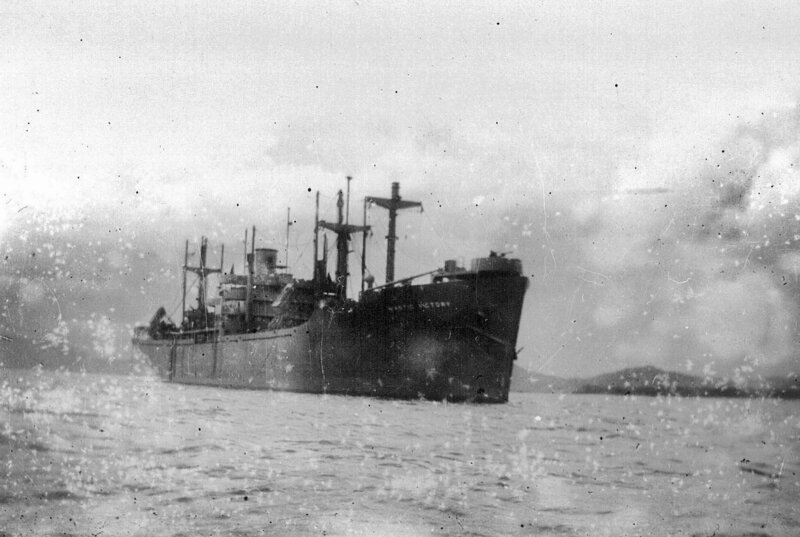 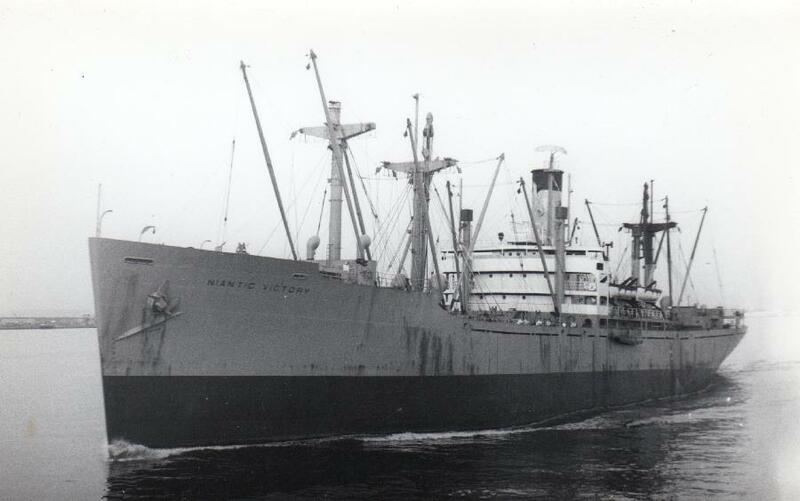 Laid up, 30 May 1948, in the National Defense Reserve Fleet, Wilmington, N.C.
MSTS charter, 18 April 1952, for operation by Union Sulphur and Oil Co.
MSTS charter, 8 April 1955, for operation by Pope and Talbot SS Co. 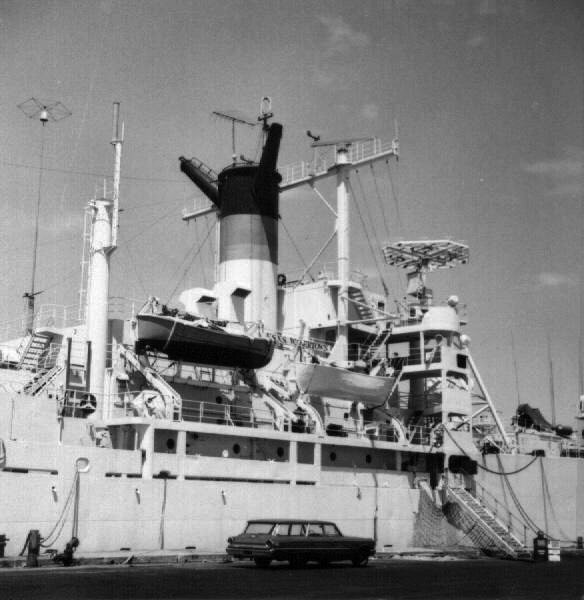 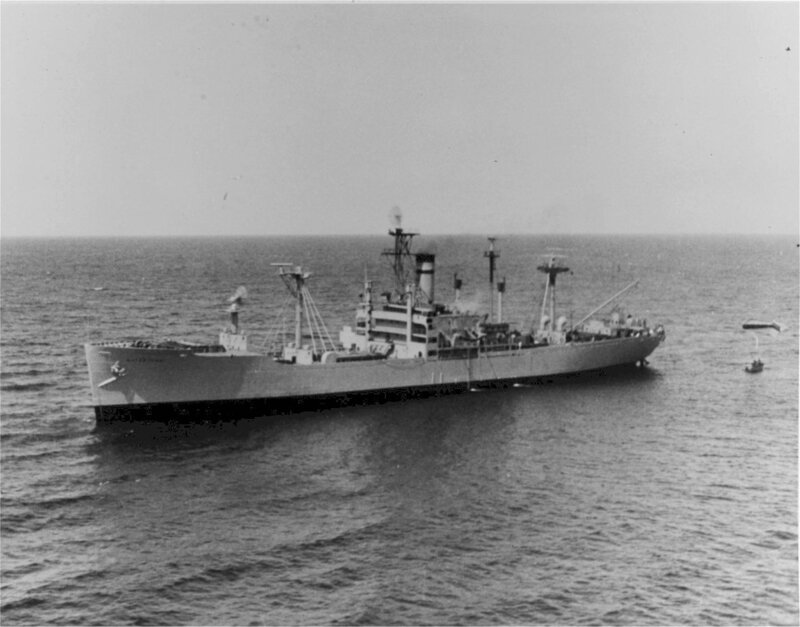 Laid up, 24 January 1958, in the National Defense Reserve Fleet, Suisun Bay, Benecia, CA. 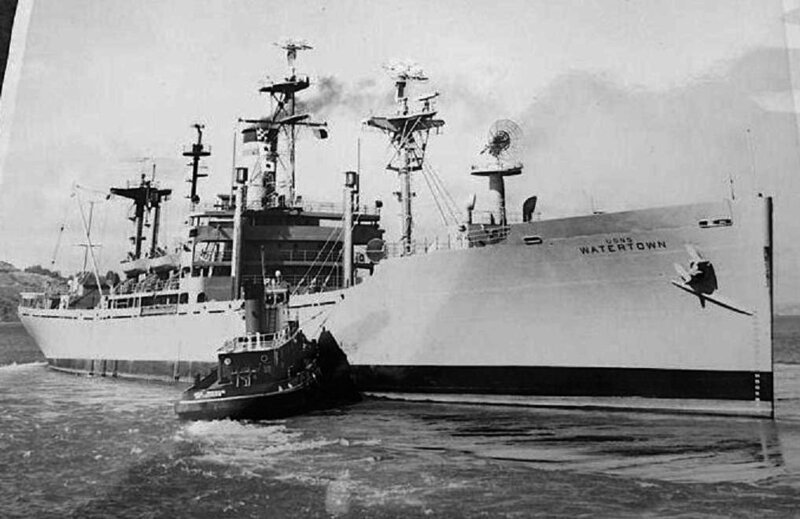 Merchant Service American-Hawaiian Steamship Co. Pope & Talbot Steamship Co.
145k USNS Watertown (T-AGM-6) at sea, 27 March 1962.